A trader called Nicholas Vanacker signed what is thought to be the first cheque in the UK 350 years ago. But now the UK Payments Council has decided that this payment system should come to an end, by setting a date of 31 October 2018 for the abolition of the system that processes cheques. So how would this work, and would the move be welcomed? Isn't it true that we hardly use cheques nowadays? There has been a rapid decline in the use of personal cheques and many large stores, supermarkets and petrol stations no longer accept them. Personal cheque transactions reached a peak of 2.4 billion in 1990 but have now dropped to just 663 million in 2008. On average, we wrote 14 cheques each during 2008, compared with 31 in 2002. But the value of those cheques rose from £154 typically in 2002 to £267 in 2008. While usage is falling, charities argue that cheques remain a way of life for some people - especially the most elderly. So why might they be phased out? The UK Payments Council believes that cheques are in terminal decline so it wants this decline to be well managed. The group, which oversees strategy of payment methods, wants to kick-start development of suitable alternatives and has set the date of 2018 to give this more impetus. "There are many more efficient ways of making payments than by paper in the 21st century, and the time is ripe for the economy as a whole to reap the benefits of its replacement," said Paul Smee, of the UK Payments Council. "But the real challenge lies ahead if we are going to be comfortable to wave good-bye to the cheque, which undeniably occupies a unique place in British culture. "I know that the board will pay particular attention to check that the needs of disadvantaged consumers are addressed." As a result, a final review will take place in 2016 to announce whether to give the go-ahead for the end of cheque use. So what might the alternatives be? The Payments Council has said that chip-and-pin was not around a decade ago but now people are comfortable and confident using it. So, new technology as described in this article could be developed that will adequately replace the cheque. 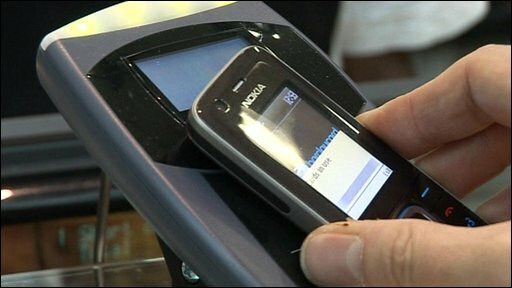 Many experts believe that mobile phones - already used to transfer money in countries with poor infrastructure in Africa - could be used. So you could send a text message on a phone that would transfer money into your plumber or builder's account. Another alternative is debit cards, which are now widely used, so you could see these traders carrying some kind of small card reader. Is everyone happy with this? Most definitely not. Many small businesses say they still get paid by cheque on a regular basis. Alternatives could be expensive for them, and so the Federation of Small Businesses Federation of Small Businesses (FSB) wants the cheque to stay. FSB spokesman Stephen Alambritis argues that the UK Payments Council board is dominated by representatives of the big banks who would see a cost benefit of ending the system. "This is driven by the big banks, who will save over £1bn by the demise of the cheque," he says. 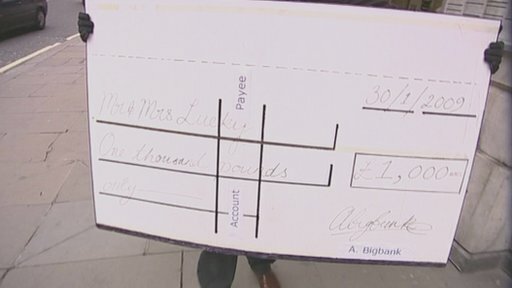 "The cheque is important to small businesses, to charities, to subscription-based companies, to the voluntary sector and to schools, and it does not behove the Payments Council to entice the demise of the cheque." The decision was not unanimous, however the four independent members of the board - who are not from the banking industry - voted in favour of setting the target date. Age Concern and Help the Aged say that the most vulnerable might decide to withdraw large amounts of cash from the bank if cheques were unavailable. Online transfers were not appropriate either as 6.4 million over-65s have never used the internet, it says. However, the British Retail Consortium ritish Retail Consortium says that customers are turning away from cheques and they were expensive for retailers to process. The Forum of Private Business says that sentimentality should not feature in the debate about the future of the cheque. Is this debate going on outside of the UK? Yes it is. Cheque use is falling everywhere in the western world, but the popularity of cheques seems to be different depending on where you are. A lot of cheques are still written in the US - about 133 per person in 2007 - as there remains some fear of fraud through other formats. In Norway, a campaign to encourage people to shift away from paper payments includes training postmen to tell people about the alternatives. And in Ireland, the organisation that oversees payments services has suggested that cheques are phased out by 2016. Remind me what the rules are at the moment with the UK cheque system? Since November 2007, interest must be credited no more than two days after a cheque has been paid in and the money must be available to be drawn out after no more than four days.